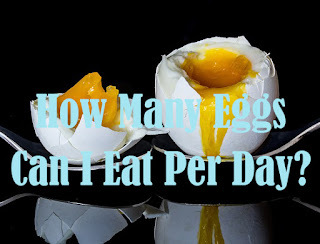 Home / Health / How Many Eggs Can I Eat Per Day? For whose really like an egg, maybe can eat eggs three to four times a day. However, you might be afraid of eating too many eggs cause can raise your cholesterol. So, how many eggs can I eat per day? If you are healthy and do not have a history of any disease, the cholesterol levels that can be consumed in a day is not more than 300 mg. If you have diabetes, heart disease, or have high cholesterol levels, then you are only allowed to consume cholesterol no more than 200 mg a day. Some study says that eat 7 eggs in a week would not increase the cholesterol levels in healthy people. According to other studies, it was stated that consumption of 1-3 eggs a day did not make the body's cholesterol levels rise instantly. But again, this is only done in healthy people, if you have a history of certain diseases, you should first discuss with a nutritionist. Protein content in chicken egg white. According to SF Gate, according to U. S. Department of Agriculture Nutrient Data Laboratory, chicken egg white contains a little more protein than egg yolks. One serving of large egg white contains 3.6 grams of protein. This is slightly higher than 2.7 grams of protein found in egg yolks. The protein found in egg whites is a high-quality complex protein. Complex proteins contain all the essential amino acids the body needs. The quality of this protein has been measured and proven by Protein Digestibility-Corrected Amino Acid Score (PDCAAS), an assessment of the size of protein quality carried out by the United States food and agriculture organization. Based on this assessment, egg white has a value of PDCAAS 1, which means it has the highest protein content, followed by soybeans with a value of 0.99. Other sources of protein equivalent to egg white are casein and cow's milk. Compared to egg yolks, egg whites contain less fat and saturated cholesterol, and low in fat and cholesterol. That's why it makes egg white a good choice for people who want to try to limit calorie intake and lose weight. A high-protein diet also has been linked to a lower risk of hypertension. In a study published in the journal American Chemical Society, scientists at Clemson University found that a peptide called RVPSL found in egg white can reduce blood pressure with the same properties as hypertension-lowering drugs (high blood pressure). Most egg allergies encountered by children. Mild symptoms of someone who has an egg allergy are usually in the form of a rash, itching, swelling, runny nose, and watery eyes. 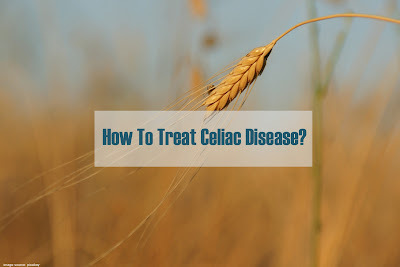 Some people can also experience digestive disorders, nausea, and vomiting. Raw egg whites also pose a risk of food poisoning from Salmonella bacteria. These bacteria can be found in eggs or on eggshells. Make sure you always cook egg white until heated to reduce the risk of salmonella bacteria poisoning. Also, read Start Your Healthy Life With Breakfast.